HÀ NỘI — Traditional handicrafts from villages around Huế and other localities will be honoured during a festival from April 26 to May 2. The eighth Huế Traditional Craft Festival 2019 honours the value of heritage and aims to raise the production quality of traditional trade villages. The event will forge connections between trade villages and investors, and promote traditional handicrafts alongside tourism products. As many as 300 artisans from 50 trade villages nationwide will present their products and perform their handicraft skills. Various products will be featured, including jewellery, embroidery, brocade, silk, bronze casting, áo dài (Vietnamese traditional long dress), wood, textiles, ceramic, bamboo products, conical hats, paper flowers, paintings, lanterns, kites, and food. Visitors will have the chance to make these products with the instruction of the artisans. The opening ceremony with performances by of 500 artists will start the festival with the theme The Quintessence of Vietnamese Crafts. An áo dài fashion show will be organised on April 28 at Ngọ Môn Gate (the Imperial Palace relics) featuring 20 collections of Vietnamese and foreign designers. 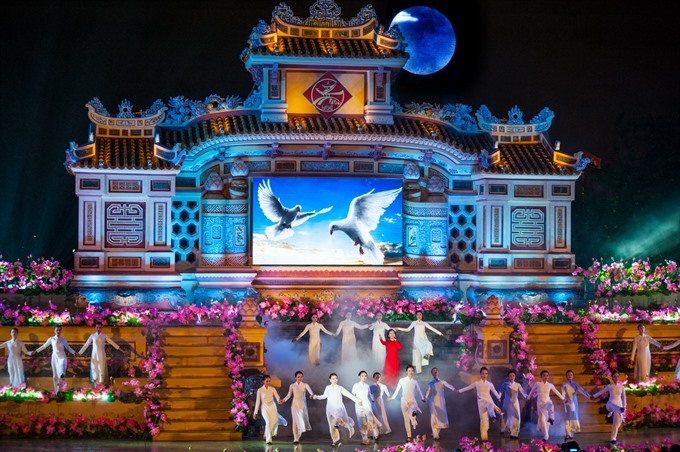 Organised biennially by Huế city People’s Committee, the festival is a part of activities to celebrate the 230th anniversary of King Quang Trung (Nguyễn Huệ)’s victory against the Chinese Qing invaders (1789), the 120th anniversary of the establishment of Huế (July 12, 1899), and the 120th anniversary of Đông Ba Market and Trường Tiền Bridge, two remarkable pieces of architecture in Huế.